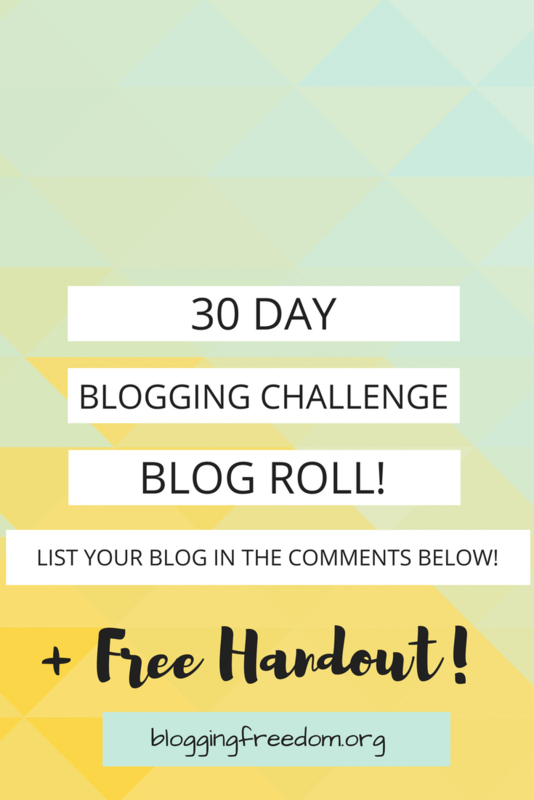 Bring your creativity to the 30 Blogging Challenge Blog Roll. My name is Haley Snyder and I am an avid writer, published author, and mental health advocate! I am very excited about this challenge and looking forward to seeing how everyone else is going to grow through this experience! My blog is Haley J. Snyder and is found at http://haleyjsnyder.com. I’m the mom who blogs. I blog about motherhood. I’m a new blogger with less than a month of experience, but I tend to go full force from the beginning. My blog is http://themotherblog.com/. Can’t wait to do this challenge! Most moms I know are like the hardest working folks ever and organized at the same time! Thank you for sharing your blog and joining the challenge. I am also a brand new mom blogger, just about 1 month into the journey, also learning to navigate WordPress. Look forward to connecting. I also like to jump in with both feet. Hi! I’m Jenni and I blog over at The Beautiful Fool. I ended up taking an unexpected four month hiatus from my blog recently, but plan to start posting again after Christmas. My blog is about my life as a college student who loves reading, fashion, and adventure. You can visit it at http://thebeautifulfool.com/. I’m looking forward to participating in this challenge as I start blogging again. Hey Jenni! Thanks so much for stopping by. I will make sure to check out your blog! Excited to see you participating in the challenge! Hi guys! I am Sheri Little from the Hardest Button to Button Blog, hosted at my business page sheriklittle.com/blog. I used to have a mommy blog, back in the day. Now I am focusing on helping other parents through sharing information through my blog and offering parent coaching services. I am currently a social worker, mom of three and budding free-lance writer. My blog is Enchanted Excurse at http://www.enchantedexcurse.com. My blog is a lifestyle blog I post just whatever I want to share. I also post product and book reviews. My name is Chantale Evans. I’m a wife and mother. Now that my children are adults/teens Ive decided it is time to step outside of my roles as wife and mom and find my purpose. I will share my views, my life and my city. Hello! My names Emma from Vivara Fashion Blogger, you can probably tell from my name but i blog about Fashion! Check it out if you want to see daily outfit posts and style tips. Im a 31 year old stay at home mom who has only been blogging for the last year or so. I wanted a creative outlet. A place where I can talk about mom things but also include my love for living a natural/organic life. I dont promote my blog b/c it is really just something I do for me, however I enjoy connecting with like minded people so now I am thinking I wouldnt mind opening up to a wider audience. Hi I’m Sarah from lovesarah28.blogspot.co.uk. I blog about my lifestyle, which involves expensive tastes, food, travelling and just sharing the love. I love using my blog to connect with other like minded people. I blog about birth & babies! Hi you all and happy new year! I’m Carina and I blog over at http://www.stepabput-blog.com It’s a slightly different lifestyle blogs that also covers holidays and creative writing. This is my second year in blogging and I want to kickstart it with this challenge. I love making new friends and experimenting with my looks. Looking forward to make some friends here and also damn excoted about the challenge.. Happy new year everyone. Hi! My name is Shela and I am super excited about this Blog Challenge! I am revamping my mommy blog in 2016 and hoping to use my voice to encourage other women this year! You can check it out at http://www.ianswertomom.com – I blog about all things mommy, marriage, and encouragement! 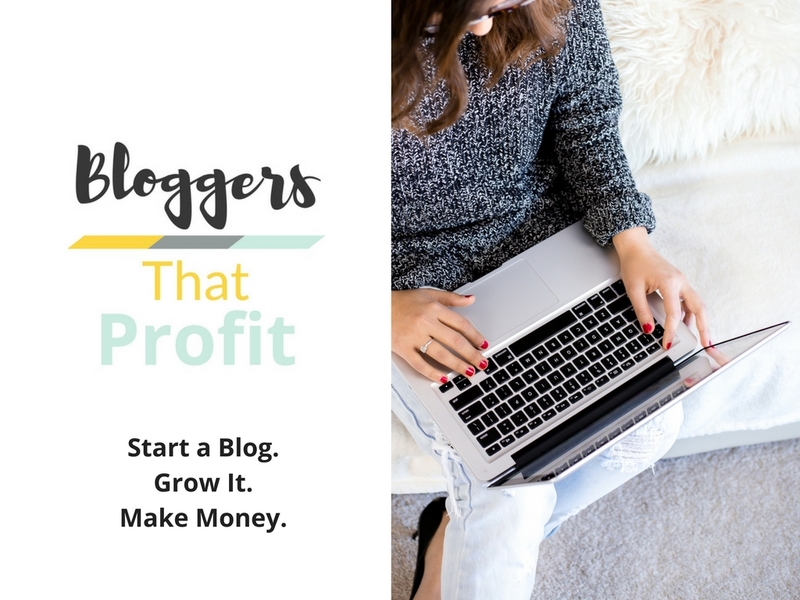 Can’t wait to blog with you! Hello! I’m Chrissy and I blog over at http://www.swordfightsandstarrynights.com. My blog is about home, family and DIY (crafts and home stuff). I’m excited to be part of this challenge! I’m Kiara and my blog is Kiara Yoga (kiarayoga.com). I blog about yoga (obviously), meditation and a healthy lifestyle in a basic babe (I’m a momma so that’s censored for basic b**** ) kind of tone. A girl can love her green juice and still drink Starbucks can she not?! It will soon be supporting my yoga program set to launch in May. Hi everyone! I’m Pam and I post at Hodge Podge Moments. My blog is all about making the most of your moments in order to live a healthy and happy life! Hi, everyone. I’m Tiffany, a freelance blogger, author and entrepreneur. I blog about everything to do with writing, self-publishing and book marketing. My name is Iman I am a single mom and full time student. I am behind the blog Single Mom, What a Life! (SMWAL.Net). I’m Neha and I live in Mauritius. I don’t really have a specific niche, I have started blogging last year and I blog mostly about what I love and what I’ve learned through experiences in life. I also share my knowledge about social media marketing on my blog so that to help entrepreneurs and businesses to better gain visibility on the internet. Hi, I’m Sharon and my new blog is http://www.themommymindset.com/ and I dream to create a resource with my blog for mommy to have a place to create a positive mommy mindset through community, story, and a way to connect with others on a similar journey to thrive as a mother! Hi, I’m Lisa and I have a lifestyle blog: http://www.keenliving.ca. I blog about food, family life, DIY, style and travel. Hi! I’m Carmen and my blog is very new, one post and still working on it oh and I have no Niche just yet. http://www.beautiforashes.com. 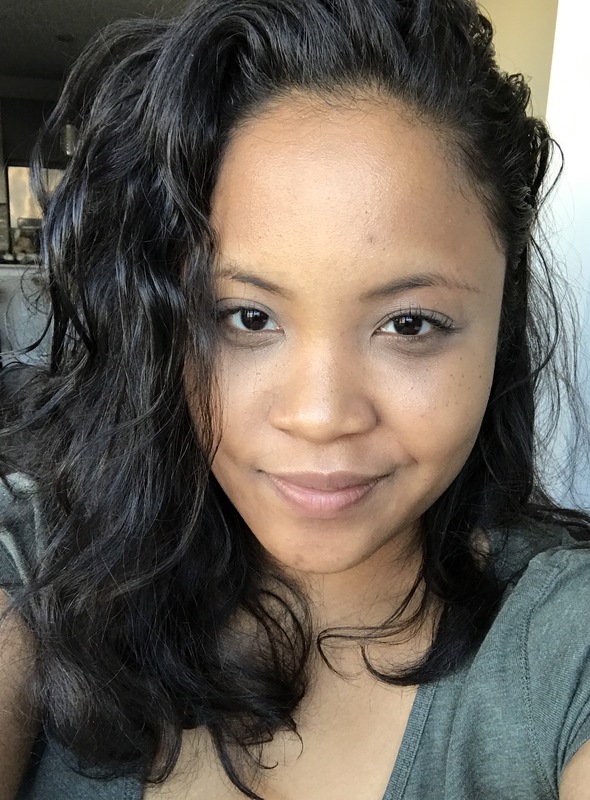 I’m Genesis and I’m a freelance writer. I blog about freelancing and living the expat lifestyle over at http://theexpatfreelancer.com.